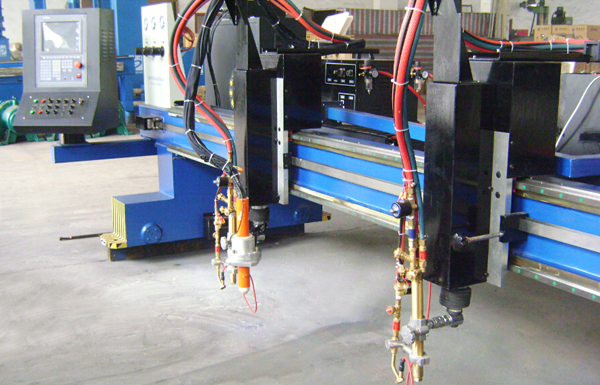 CNC flame&plasma cutting machine is a kind of high-efficient and high-precise multi-functional cutting device, with the function of longitudinal multi-head cutting and transverse straight-end cutting, and it also can do other geometric shape cutting. The gantry type structure design can ensure the high strength and rigidity. 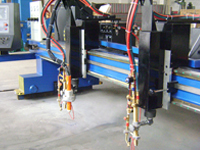 It equipped with Japanese Panasonic full-digital AC servo driving system and German Neugart reducer, it runs steadily and cutting with a high precision.